4 years & up. 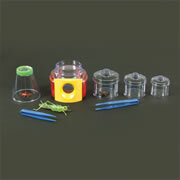 Watch 5 caterpillars develop into beautiful butterflies in this intriguing observation station. 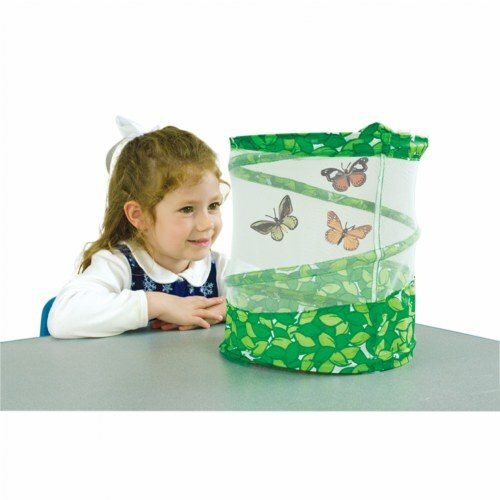 Comes with a mesh pop-up habitat, feeding kit, care instructions, butterfly facts, and a coupon (shipping and handling charges may apply) for butterfly culture. 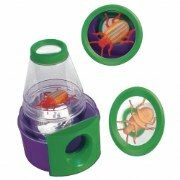 (Sorry, we cannot ship larvae to Hawaii.) Habitat measures approximately 10 1/2"H x 10 1/2" diameter.